This simple extension makes store navigation more flexible and more user-friendly by enabling store customer to apply multiple values of the same filter criteria. (e.g. Can select black as well as blue for the color of the r-shirts they are looking for). Layered Navigation simplifies the product search filtering items based on their attributes. 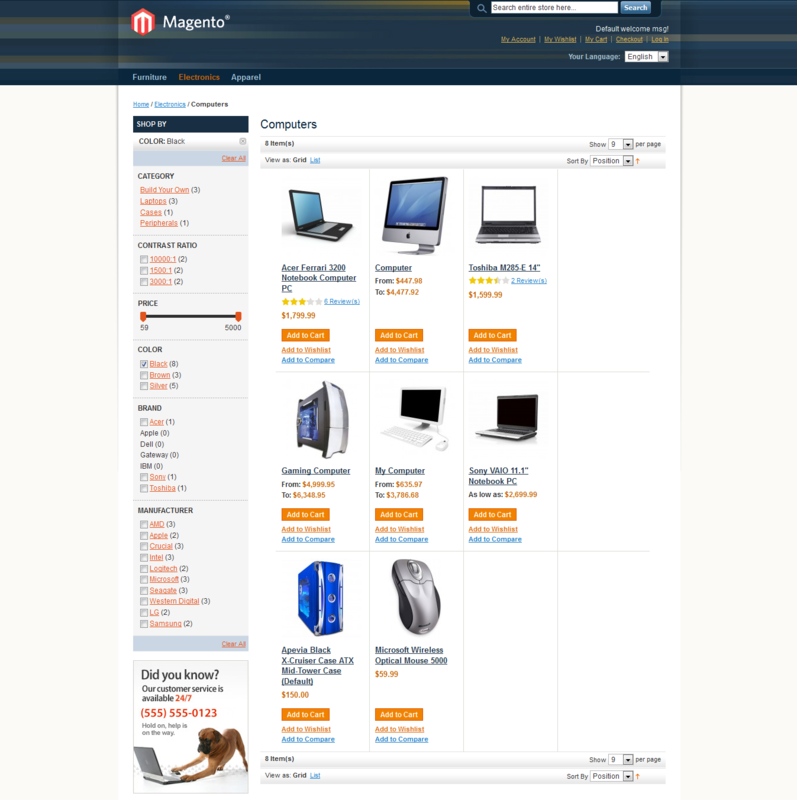 Since your visitors know what interests them the extension allows finding the desired product faster. With MD AJAX layered navigation you can make your navigation more flexible and user-friendly! SEO friendly URLs will provide customers with clear and nice-looking URL on all pages on which the filter value is selected. Price slider provides an added visual effect to the customers visiting your store and helps to filter products within specified price range. Completely manageable from the admin panel, this extension is easy to use and a must have for any webstore.